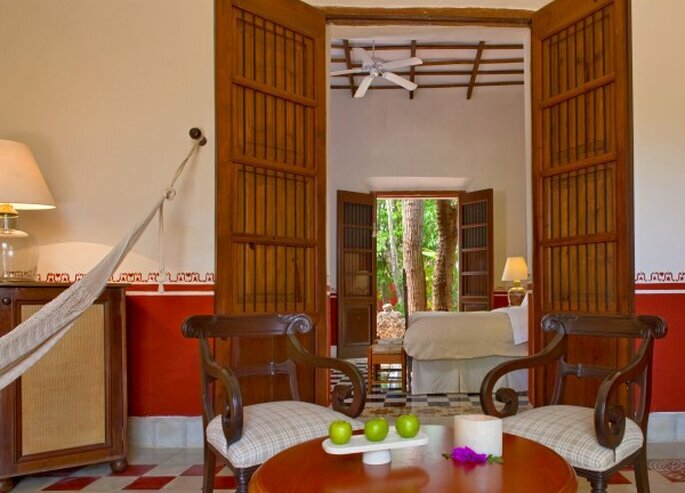 Deep in the tropical jungle on the Yucatan peninsula, Hacienda Temozon, a hotel from The Luxury Collection, is a natural paradise surrounded by Mayan archaeology. 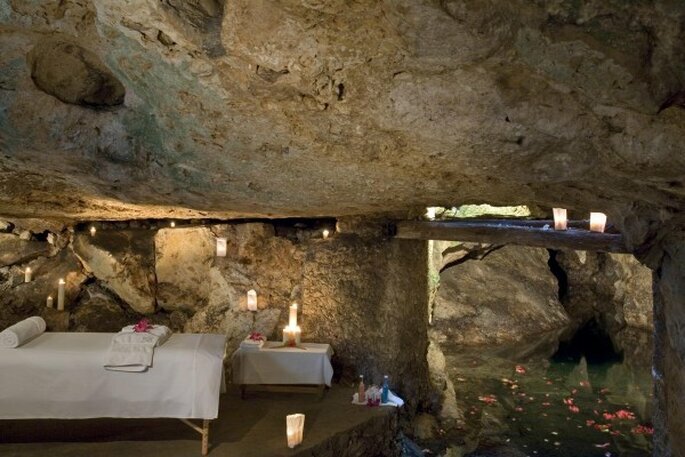 Just imagine having a destination wedding here! 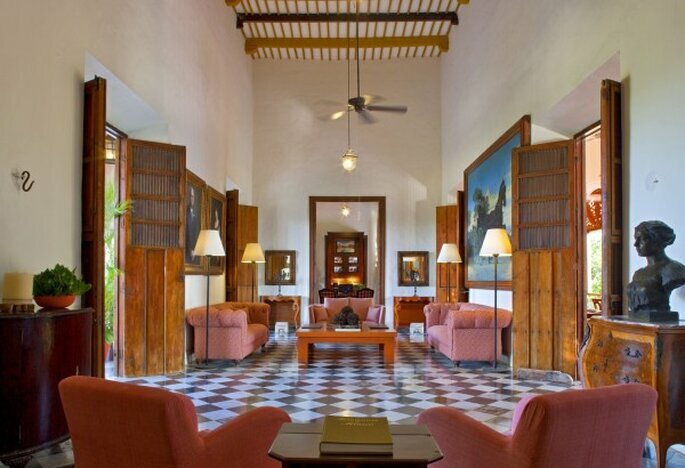 History and tradition come together at Hacienda Temozon, combining elegant decoration with paradise landscapes and the cultures of yesteryear. This luxury space is perfect for your dream wedding. 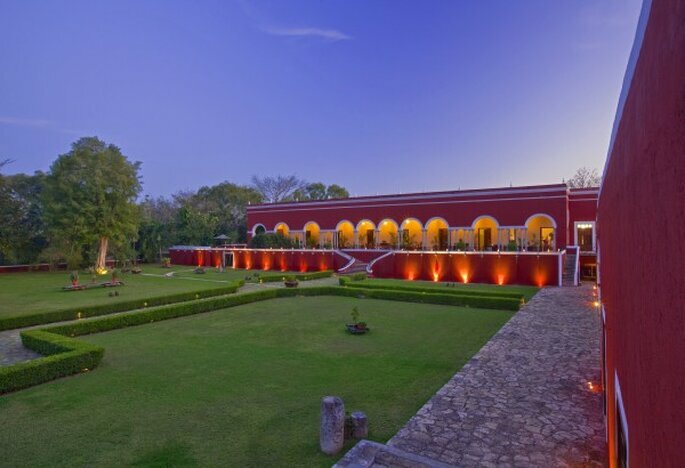 Hacienda Temozon will take your breath away at first sight. 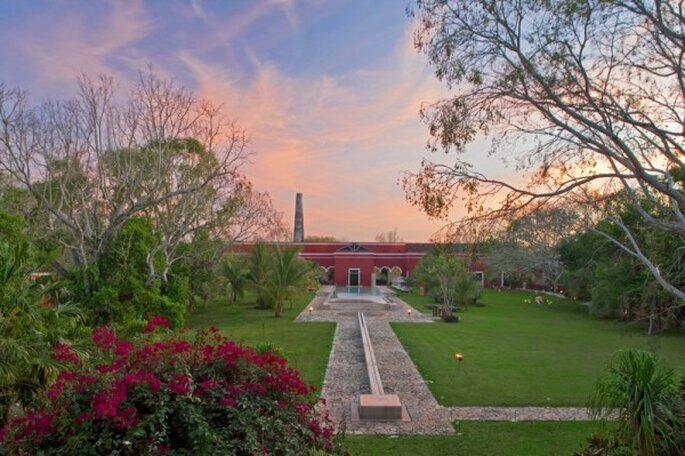 The building and gardens cover a huge piece of land and the amazing function rooms are the perfect setting for your destination wedding. Just imagine the blue skies and your outdoor wedding, allowing you and your guests to enjoy the beauty of the natural setting. 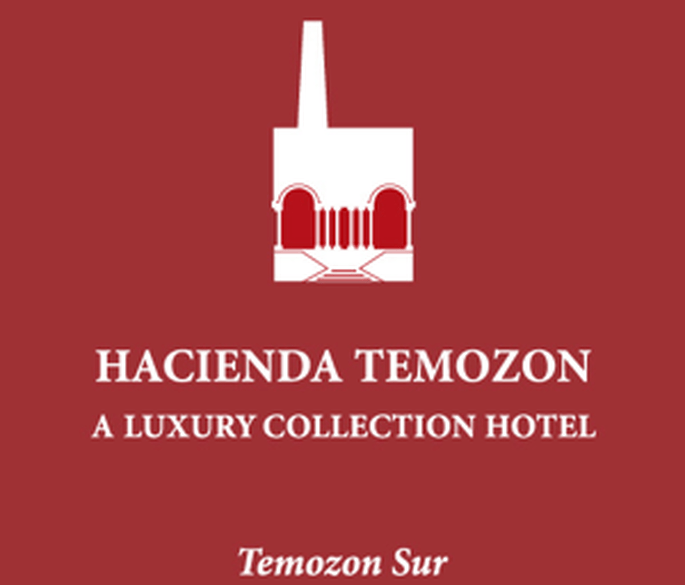 At Hacienda Temozon you will receive a top quality service and have all the necessary facilities at your fingertips. 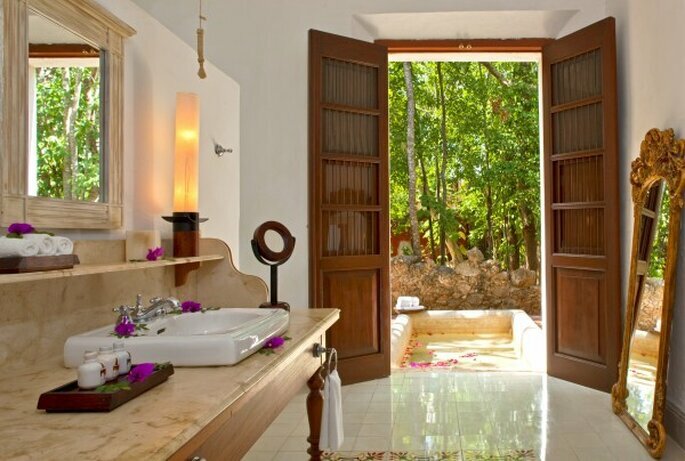 Twenty eight rooms and suites with private terraces and personal swimming pools are just the beginning! 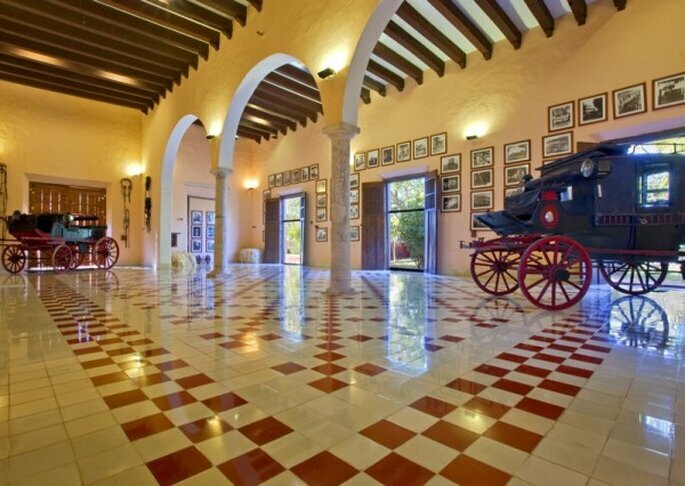 And if you choose Hacienda Temozon as the location for your luxury destination wedding in Mexico, you will also be able to enjoy all the delights of the Yucatan province – its natural beauty, historical spaces and amazing landscapes. 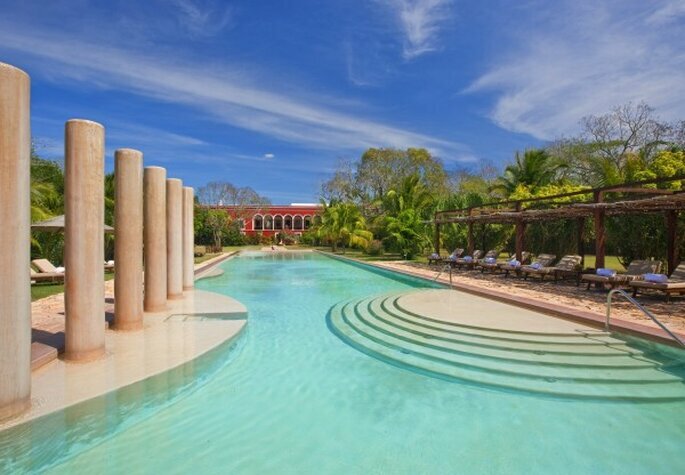 So now that we’ve opened your eyes to the beauty, luxury and sophistication of Hacienda Temozon, all you need to do is start thinking about your wedding there! If you want a unique event, this really is the perfect location for fulfilling your wedding dreams!